Chloe is scared Mel will tell Mark about her feelings for Elly. Dipi admits to Sonya that her tarot cards have predicted the death of someone close to her. Toadie is furious at Dipi's lack of support. 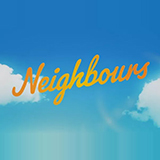 Neighbours was broadcast on Eleven at Friday 8 February 2019, 19:24.